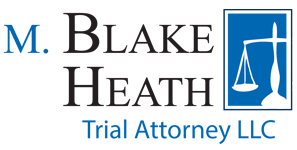 M. Blake Heath successfully obtained a $37,000.00 settlement for Overland Park, Kansas woman injured when she was a passenger in drunken driving accident. The injured victim had gone to Dallas, Texas to visit an old friend. The victim, friend, and the friend’s husband were leaving a country club late in the evening when they came upon a wreck. The husband, who was driving, had several alcoholic drinks before getting behind the wheel. The husband took his attention off the road and did not see a vehicle stopped in front of him. He hit the vehicle causing the victim to fly from the backseat and hit her head. She suffered a laceration on her face, bruises and a concussion. The victim was taken to the emergency room in Texas. She was later discharged but had several follow-up visits with doctors in Overland Park, Kansas. The victim also missed several days of work as vice president of a bank. M. Blake Heath was able to negotiate a settlement for the victim pre-suit. In Texas, an injured victim is only allowed to claim the amount paid for medical bills as damages. In this case, the amount paid for all medical care was only $14,105.13. Even with the law in Texas not favoring victims of others negligence, Mr. Heath was still able to obtain a settlement for his client in the amount of $37,000.00.